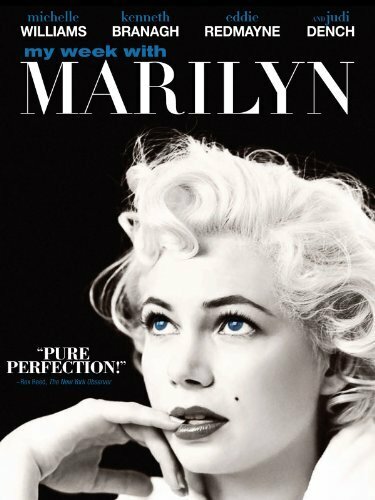 Today only, Amazon’s discounting over 100 Oscar-winning movies to just $3.99 for their online and app-based “Instant Video”! And you can download high-definition versions of the same movies for just $2.00. The movies will look great on your Kindle Fire (or Kindle Fire HD) tablet, but you can also watch them online. Amazon’s selling the discounted videos through their “Instant Video” store, which means you can also watch them online at video.amazon.com! For a shortcut to the sale, just point your browser to tinyurl.com/399OscarMovies. (Remember, this is a special one-day-only sale.) Amazon’s timed it to coincide with Sunday’s Broadcast of the 85th Academy Awards. But fortunately, they’re also offering discounts on some past Oscar-winning movies. Amazon’s Kindle has turned up again in a newspaper comic strip. This time it’s in Frank and Ernest, and the joke is actually pretty clever. The two characters stand in the back of a classroom while one explains that it’s teaching beginners how to use their e-readers. Whatever you think of the jokes, it feels like an exciting milestone when the Kindle finally starts appearing in old, traditional media. (Frank and Ernest has been running in daily newspapers for over 40 years, according to Wikipedia.) 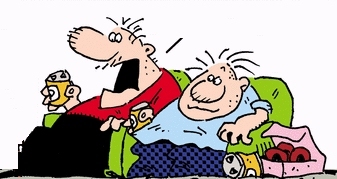 In fact, in 2006 the original artist died, and his son took over writing the daily comic strip. As he looked around at the world that his generation inherited, maybe he decided now it was time to start making puns about the Kindle. I’ve been reading comic strips since I was a kid, so I love seeing this newspaper institution finally acknowledging the Kindle. There was a Ziggy comic strip more than two years ago where a Kindle was getting spammed by the public library! And sometimes it’s not just one comic strip, but an entire series of strips. The Crankshaft comic spent five days on a story where the strip’s grumpy bus driver starts to warm up to the idea of reading his beloved Tarzan novels as ebooks on the Kindle he received as a gift. 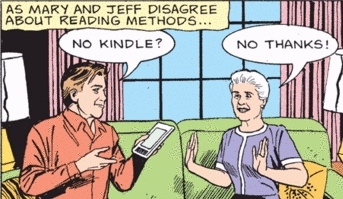 But two years ago the Kindle made what was possibly its strangest appearance ever in a newspaper comic strip: it turned up in one of the melodramatic storylines in Mary Worth. For entire week, the grey-haired do-gooder ended up arguing with her younger neighbor about whether or not she should be reading her books on a Kindle. But it’s still really nice to see an American institution like Mary Worth acknowledging that there’s something new and exciting that’s come into our world. So I was lying on my couch Sunday reading a Kindle. I switched over to my Kindle Fire, and decided to pull up its Facebook app. In the background I was listening to my favorite album — some classic jazz to help me unwind for the night — when I spotted an announcement on Facebook from Amazon’s music page. It seemed too good to be true, but within minutes I was sharing the news to all of my friends. 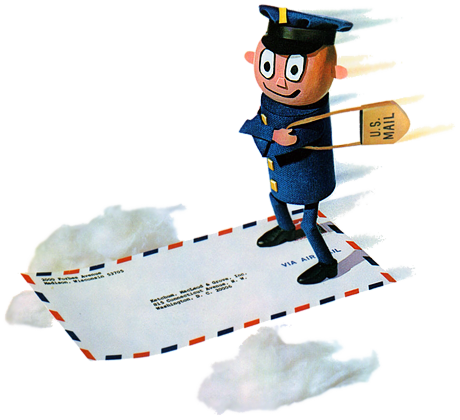 (“Guess what happens when you go to tinyurl.com/GrammyMp3s ? Amazon’s discounted 73 past and present Grammy-winning songs to just 69 cents!”) Amazon’s discounted songs by some of the biggest names in music, including Beyonce, Dave Matthews, Bruce Springsteen, and John Mayer. And then I discovered that Amazon had also discounted over 168 Grammy-nominated albums — some as low as $2.99. There were discounts on several classic albums are on sale for just $2.99, including Bruce Springsteen’s The Rising, Carol King’s Tapestry, Michael Jackson’s Thriller, and Billy Joel’s 52nd Street. But there were also discounts on more recent albums, like Wild Ones by Flo Rida, as well as two albums by Coldplay, two by Bonnie Raitt, and two by Kelly Clarkson. There were sales on digital music albums by everyone from Bob Dylan to Barbra Streisand, and even an album by Cannonball Adderly and MTV’s special “Tony Bennett Unplugged”. In 2004, at the age of 73, Ray Charles had recorded his final album, a new collection of duets with famous musicians called Genius Loves Company. Amazon’s discounted that album to just $3.99. With 168 albums to choose from, it’s a great way to look back at the history of music as seen by the Grammy awards — all the way up to the present. (The Lumineers were nominated as “Best New Artist of 2012” — and Amazon’s discounted also two of their songs to just 69 cents.) But I learned tonight that there was also a lot of excitement over the surprise upset win in an unusual Grammy category — “best spoken word album”. First lady Michelle Obama and former president Bill Clinton were competing against Janis Ian, a singer-songwriter who’s probably best known for her thoughtful 1975 song, “At Seventeen”. 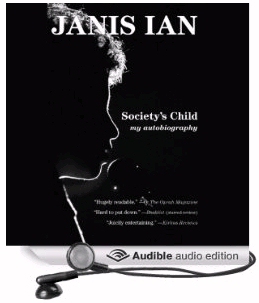 Other nominees included Ellen Degeneres and Rachel Maddow, but in the end, Janis Ian won the award for a heartfelt recording of her autobiography — Society’s Child. Once a year, the Grammy awards remind me of how many different artists there are who are trying to create some really great recordings. And it’s especially nice that this year, there’s a way to enjoy them on your Kindle! Amazon Discounts their 8.9-inch Kindle Fire! It’s a $50 savings if you purchase the model with the built-in 4G wireless connectivity (which normally costs $499). 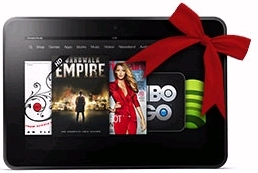 But you can also save $30 on the WiFi-only version of the Kindle Fire HD. Usually it costs $299, but through Friday Amazon’s discounted it to just $269 . That’s just $69 more than the cheaper 7-inch Kindle Fire HD, which still sells at its regular price of $199. And of course, you can buy one of Amazon’s original (non-HD) tablets for just $159. Ironically, Amazon’s stock dropped nearly 2% today, though I don’t think it’s related to the sale. (Amazon’s involved in a lawsuit over whether or not it’s going to pay state sales taxes in more jurisdictions.) But if you’re thinking about buying a high-definition tablet from Amazon, this is a nice way to save a little extra money. I asked my girlfriend if she wanted to use my original Kindle Fire, and she said she really didn’t like the smaller screen. I hadn’t really thought about it before, but it made me realize that there are some drawbacks to reading web pages and watching videos on on a 7-inch display. I was going to surprise her with a larger tablet for Valentine’s Day, but she already went out and bought one for herself! 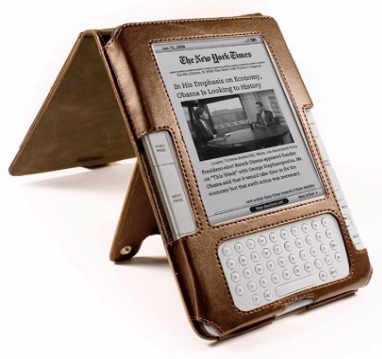 Another Amazon Sale on eBooks! I’m enjoying a cozy weekend of reading, and I just realized something delightful. A new month has started — which means Amazon has discounted another 100 Kindle ebooks to just $3.99 (or less!) 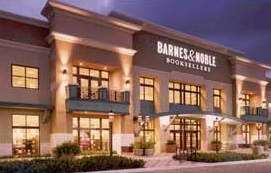 They’ve grouped their discounted books into seven different categories, including science fiction, “fiction and literature,” and a category called “general nonfiction.” And at the bottom of those pages, Amazon seems to have hidden some additional discounts, including “hard-boiled” mysteries and thrillers for just $2.99, plus a selection of 20 children’s books for just $2 each. It’s hard to explain the steampunk genre — but I thought Amazon gave it a good description on this ebook’s page. This book collects 14 stories in an world “where romance and technology reign. Where tinkerers and dreamers craft and re-craft a world of automatons, clockworks, calculating machines, and other marvels that never were…” One of the stories is by Cory Doctorow, who I know as a contributor to the popular blog BoingBoing, and it’s nice to see an ebook that takes advantage of some new Kindle features. If you’re reading on a Kindle Fire (or with one of Amazon’s Kindle apps), this ebook supports Amazon’s “WhisperSync” functionality, which lets you switch instantly from this book to its audiobook version, in which every story is read out loud by its author! Everyone’s heard about this book, but I was surprised to learn just how popular it was. It’s sold more than 50 million copies, according to Wikipedia, and “according to CNN it was the ‘highest ranked work of nonfiction’ of the 1990s and spent 121 weeks on the bestseller list.” Amazon’s description also claims this book was “Based on years of successful counseling of couples and individuals,” and “has helped millions of couples transform their relationships” (adding that it’s now seen “as a modern classic.”) And this is another ebook which supports Amazon’s WhisperSync functionality, so now you can switch over from reading the text to hearing it read by the author himself! 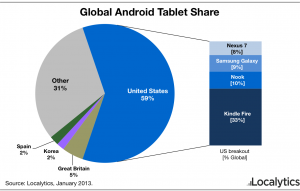 I’m always fascinated how the Kindle becomes part of our every day life. And I thought it’d be fun to see how Amazon and their Kindle did (and didn’t) play a role in all of the fesitivites during Sunday’s big football showdown. 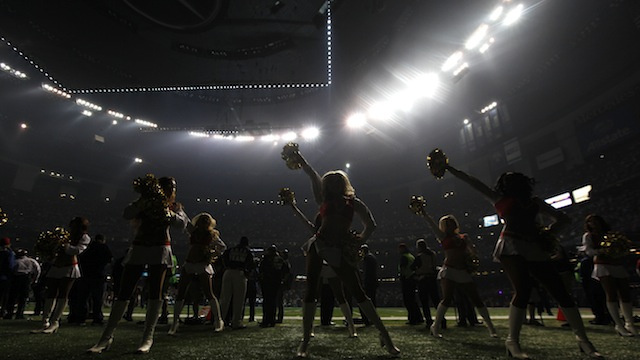 There was an unexpected lull in the second half of the Super Bowl when a partial power outage stopped the game for more than half an hour. With 178 million people watching the half-darkened stadium, I’m sure that somebody, somewhere, must’ve pulled out their Kindle and just started reading! I say this because right about that time, my friend Richard announced on Facebook that he was in fact spending some quiet time at a real bookstore — drinking coffee, and enjoying some reading. I envy the calm, quiet afternoon he must’ve enjoyed, and he added in his Facebook update that there seemed to be no one else at the store! But even if you’re not a football fan, it’s easy to be affected by the massive spectacle, knowing that it’s captured the attention of a good chunk of the world’s population. I’m impressed that so many aspiring authors cranked out football ebooks specifically targeting readers who were thinking about Sunday’s big football event. Of course, not every ebook about the Super Bowl will deliver championship-calibur writing, and there aren’t any ebooks about the Super Bowl that made it into Amazon’s list of the top 100 best-selling ebooks. But I thought it was cool that right in the middle of the game, Amazon posted this on their Faceboook page for digital music. So it was fun to visit Amazon’s Music Store and browse through its special web page the next day just to see how many of the songs I remembered. 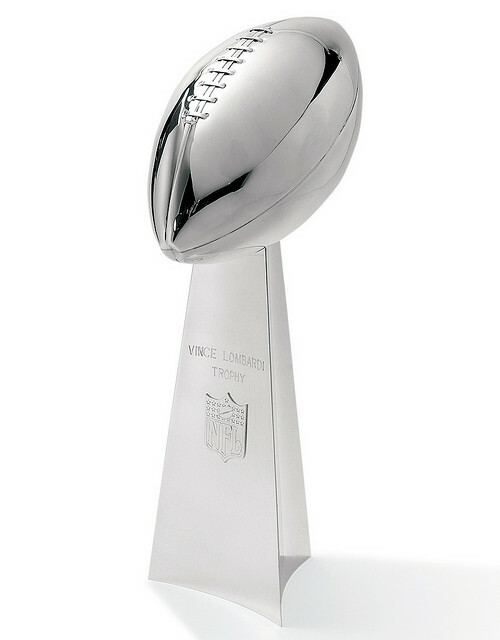 (For a shortcut to their complete list, just point your browser to tinyurl.com/SuperBowlSongs .) If you have a Kindle Fire, you can even watch all those ads again in your web browser at www.youtube.com/user/superbowladsman . I was a little disappointed that Amazon didn’t run an ad for the Kindle during the Super Bowl. But at least their pumped-up songs would still provide good background music for reading on the Kindle — especially for new Kindle ebooks about the Super Bowl!